The term “little black dress,” as it is often used today in fashion, was first coined by American Vogue in 1926 for the illustration of a simple, long-sleeved black dress in crepe de chine by Coco Chanel. Until then black dresses had been mainly associated with mourning. Chanel’s innovation was to transform into a chic new “uniform” for the modern woman. Since then it has been constantly reimagined and revisited by designers from Balenciaga and Yves Saint Laurent to Yohji Yamomoto. On October 3, Sotheby’s will auction 140 dresses from the private collection of Didier Ludot, the well-known Parisian dealer in vintage haute couture, ranging from a 1921 dress by Paul Poiret to recent creations by Viktor and Rolf and Commes des Garcons, with estimates ranging from €800 to €5,000. “An object of must-haves for some, it is an inexhaustible inspiration of fantasy for others. While it may be ‘little’ in size – the black dress has always been worn short – it is immense in the story it tells,” he adds. 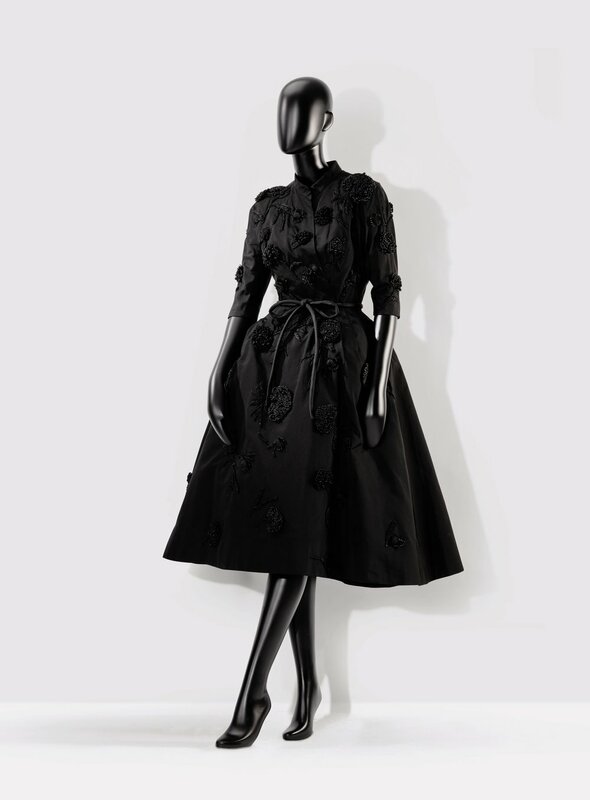 Some of the dresses on offer were previously loaned to the Metropolitan Museum in New York, and the auction also includes 20 dresses by Christian Dior, along with a dozen pairs of shoes by Roger Vivier, some of them extremely rare, designed for Christian Dior and embroidered by Rebé.